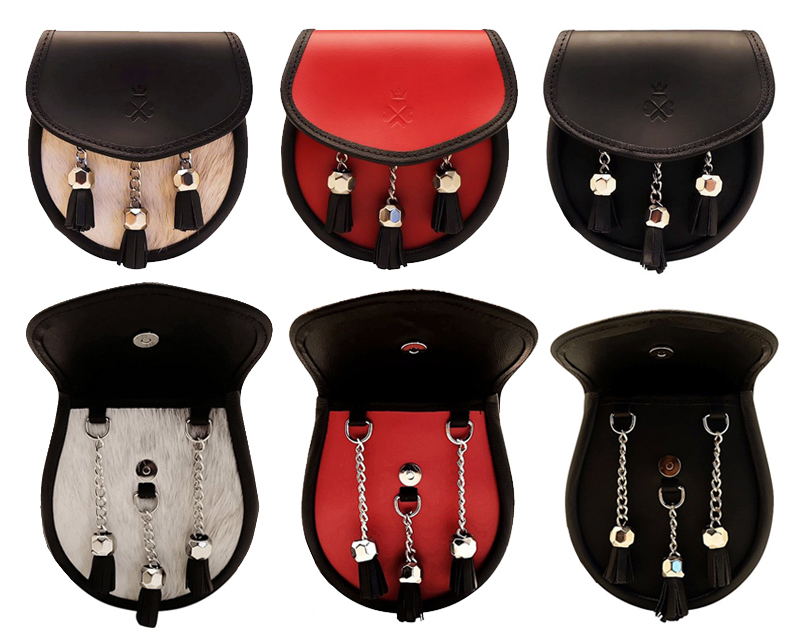 Handmade in the Scottish Highlands from British leather. 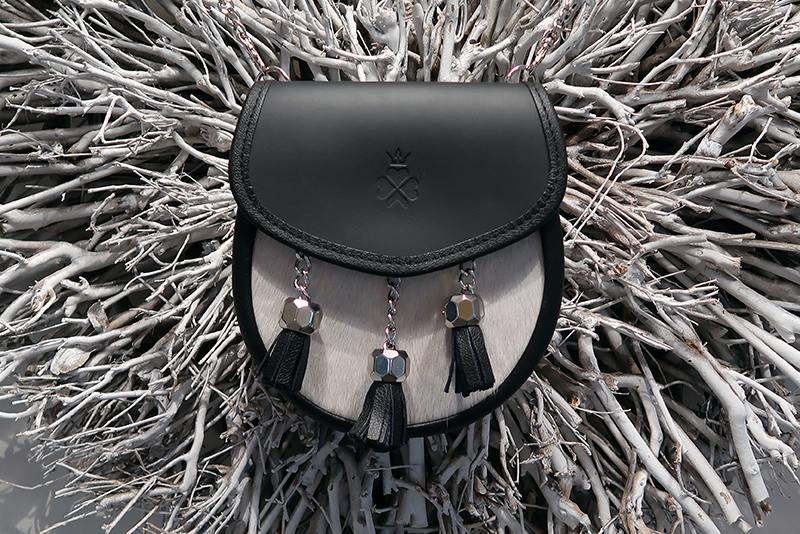 The brand-spanking new NIXEY 1834 bag, is just W.O.W! How awesome is the design? 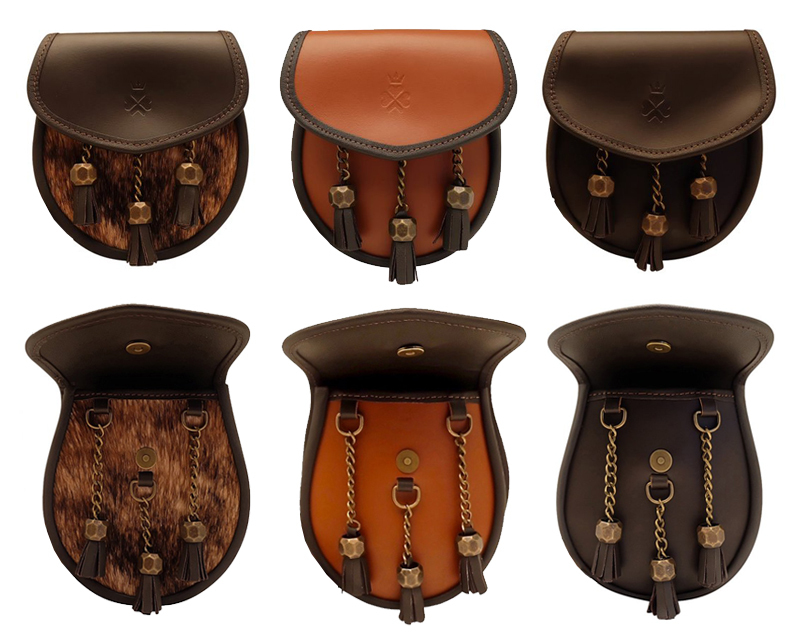 The 1834 bag is based upon the traditional Scottish sporran. I have a real love for Scotland. I could quite easily visit every year. I'm seriously yearning to go back again. Nixey make their bags in the Scottish Highlands which makes me love it even more. "With my own family history spanning England, Ireland and Scotland, I’ve always been proud of the rich cultural tapestry of the British Isles." "Launching in 2016, the foundations of Nixey were first laid two years previously with a sketchbook and pencil at my dining table in South London. With my own family history spanning England, Ireland and Scotland, I’ve always been proud of the rich cultural tapestry of the British Isles. Having spent ten years working within the Art and Decorative Arts industry, I also have a real passion for the manufacturing skill and craftsmanship thriving in Britain today. With the challenge accepted, I found a traditional manufacturer in the Scottish Highlands who believes the sporran is long overdue a modern makeover. And so the inaugural Nixey collection, The 1834, was born." 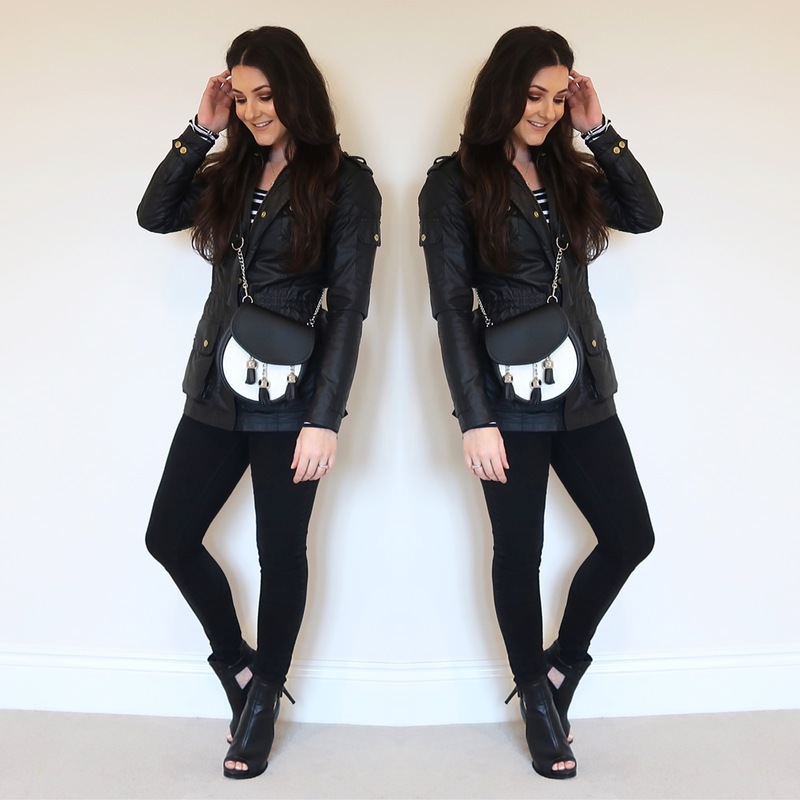 You can wear your Nixey bag three different ways. Want to know more? I'll show you how! 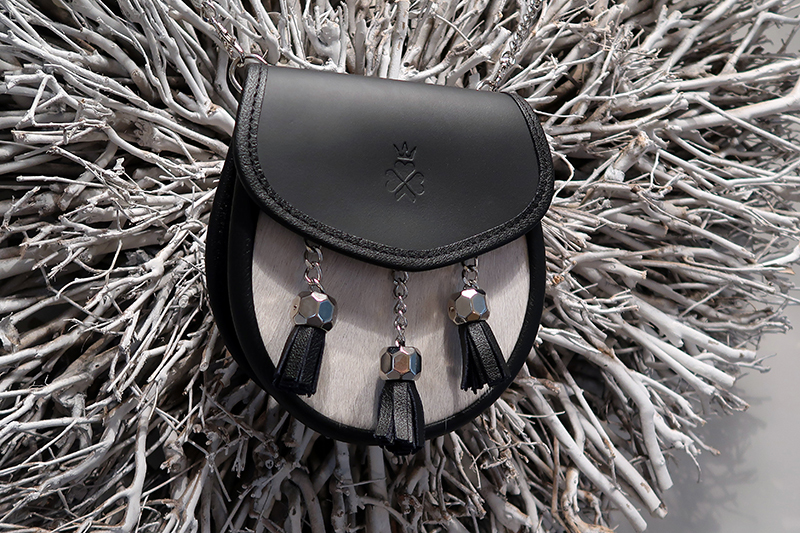 The face of the bag consists of leather and fur. The Nixey emblem is blind embossed on the front panel - which I love. It is subtle but adds class. I think it is quite intriguing too. Personally, I'd be thinking - What brand is that? The most quirky feature of all is the chain detailing! It really adds personality to the Nixey bags. The cream/red/black 1834 bag features chrome fittings, whereas the natural/chestnut/dark brown bags have the brass fittings. The inside is plain leather. 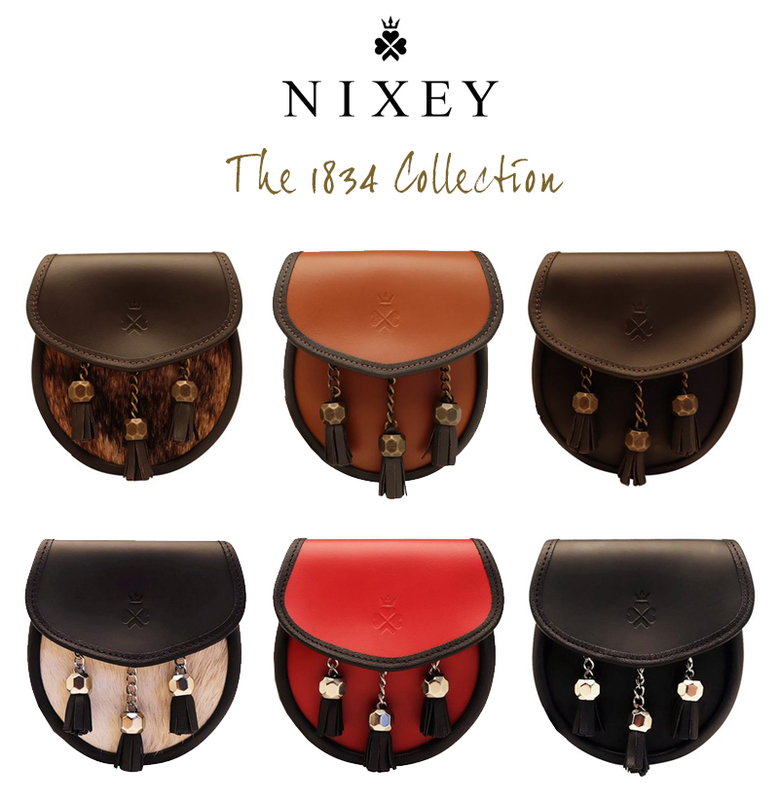 I have put together the whole Nixey 1834 bag collection to make it easy for you to choose your favourite! They also look amazing when the bag is 'open' too. I've put together the different colour options with the open and closed. What can I wear it with? I've worn my Nixey bag with my black waxed Barbour International jacket, a long sleeved striped top (in matching monochrome colours) and black jeans. I'll be putting together more inspo outfits so keep your eyes peeled. I've discovered the 1834 bag is versatile so it can easily be worn on a night out, down the pub, to shows and festivals, to work or out shopping. This bag is perfect for those who travel light. If you like to cram a million and one things into your handbag you may have to sacrifice those bulky items. What grabbed my attention initially to Nixey was the beautiful, unique design! The choice of colours are marvelous too. I had a hard time choosing which colour combo I wanted but I went for the monochrome black and cream. 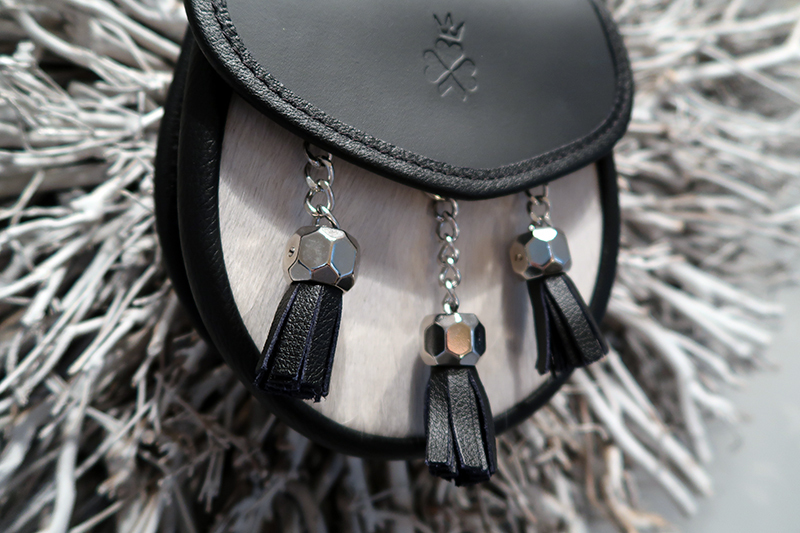 This bag is striking, stylish and compact. It feels luxurious and looks expensive. 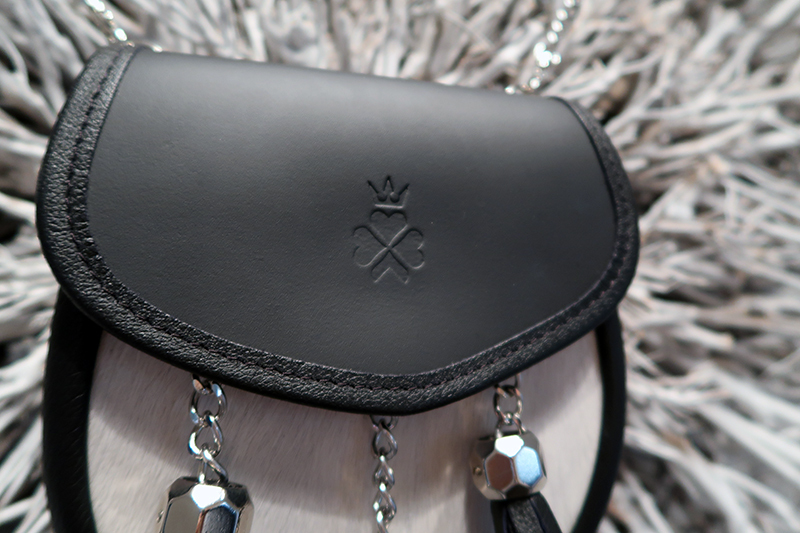 The leather is flawless and the bright chrome fittings give the bag more personality. It's such a gorgeous handbag, I think the style is remarkable! It looks great with countrywear but I also feel this bag can be worn with any fashion style! Believe it or not it is extremely adaptable. The 1834 hair on hide options are quirky and eye-catching. I can safely say I have never seen anyone wear a bag like this. They really are unique and the fact the bag can be worn three different ways (CLICK HERE COMING SOON) is really handy as it is adaptable for different situations. You could wear the bag differently for festivals, shopping, date nights and running after children or animals! Nixey sure aims to please and their customer service is amazing. I'm excited to see what else Nixey has hidden up their sleeve. "The timeless style of the 1834 Cream Bovine defines the understated eccentricities of British luxury." Products marked with an asterisk * have been donated to me for review. All opinions are my own and I will always be honest and truthful. Design, photography, wording. opinions and quotes (in gold and black) by self.